Get started with the best free training you'll ever find. Period. Fill out your information on this page to create an account. You'll get access to 15+ hours of video training that have transformed the lives of thousands of people. “I’ve probably doubled the organic traffic we get to our site.” ~ Paul G.
“Where were you 6 months aka $1000 in training ago!? HA! … Love FIMP!” ~ Kyle O. “I already bought trainings for several hundred dollars and nothing worked.... I found Ian's training and I was speechless.” ~ Gonde L.
You're only one step away. Fill out your information on this page to create an account. 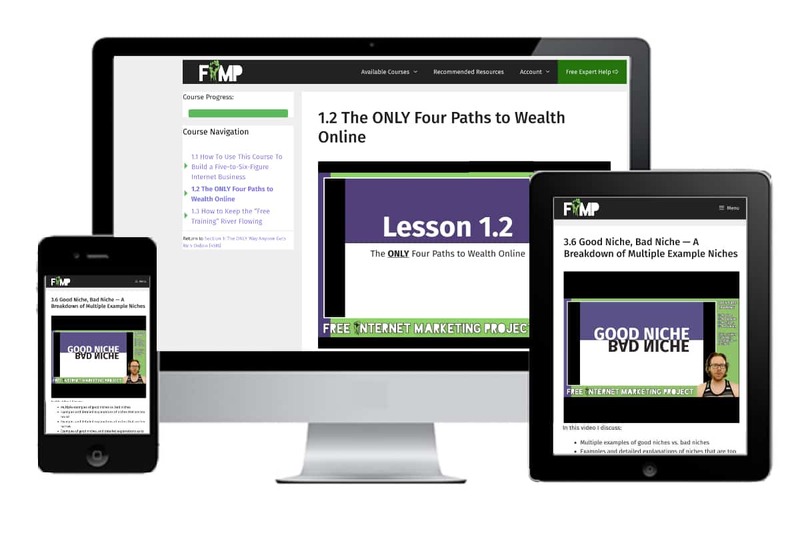 You'll get access to 15+ hours of video training that have transformed the life of thousands of people.